The 2016 summer olympic games will officially start in Rio de Janeiro on August 5th. Wondering what and who to watch? 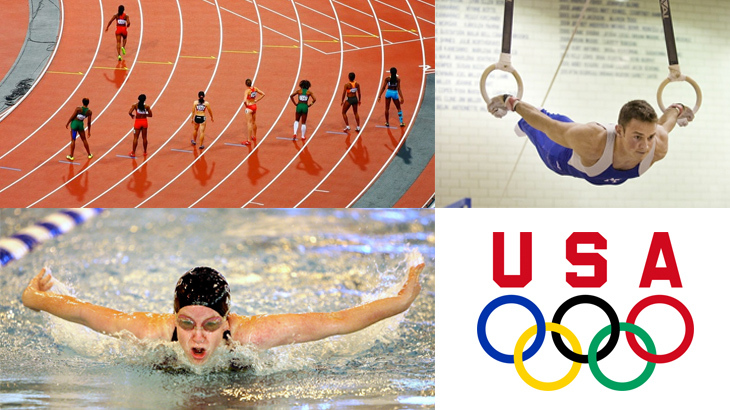 Here’s a list of heavy hitters on Team USA: from swimming to fencing and points in between. Michael Phelps has more olympic medals than any other athlete: he has 22 medals in total, of which 11 are gold. He returns to Rio this year at the age of 30 to prove that he can still swim faster than ever. Rising star Caeleb Dressel from Florida is a record-breaking freestyle sprinter, so watch for his lightning-fast moves in the 50-meter. On the women’s team, Katie Ledecky will look to add to her gold medal in the 800m freestyle from London in 2012. Ledecky is currently the world record holder in both the 400 and 800 meter freestyles and is considered by some to be the greatest female athlete alive. 19-year-old Simone Biles leads the women’s gymnastics team as the favorite for all-around gold. Biles hails from Columbus, Ohio and already holds 10 world championship titles. On the men’s team, Sam Mikulak was a member of the 2012 team and returns to Rio with more experience and two national titles under his belt (2013 and 2014). Mikulak is a favorite for all around gold. Golf will be an olympic event for the first time this year. American Jordan Spieth, a 22-year-old from Texas will be the highest ranked golfer in Rio, putting him in good position for a medal. He also happens to be #9 on the Forbes list of highest paid athletes in the world. Fencing might not be the most popular sport in the summer olympics, but it can deliver a good amount of excitement. This year, a female on the US team named Ibtihaj Muhammad will become the first US olympic athlete to compete in a hijab. The 30-year-old Muslim is also a graduate of Duke University, and reportedly fenced Michelle Obama. Watch for the soaring leaps of 18-year-old high jumper Vashti Cunningham, who is already sponsored by Nike. Allyson Felix, a 30-year-old sprinter who took home gold in the 200-meter in 2012, will compete in both the 200 and 400-meter events. On the men’s team, Trayvon Bromel will look to challenge Jamaica’s Usain Bolt in the 100-meter sprint. What are your favorite sports to watch? The olympics bring fans and athletes together from across cultures and countries for two weeks of excitement. No matter who you are cheering for, it is hard not to be impressed by the dedication and courage of olympic athletes around the world.